Direct Client Partner. 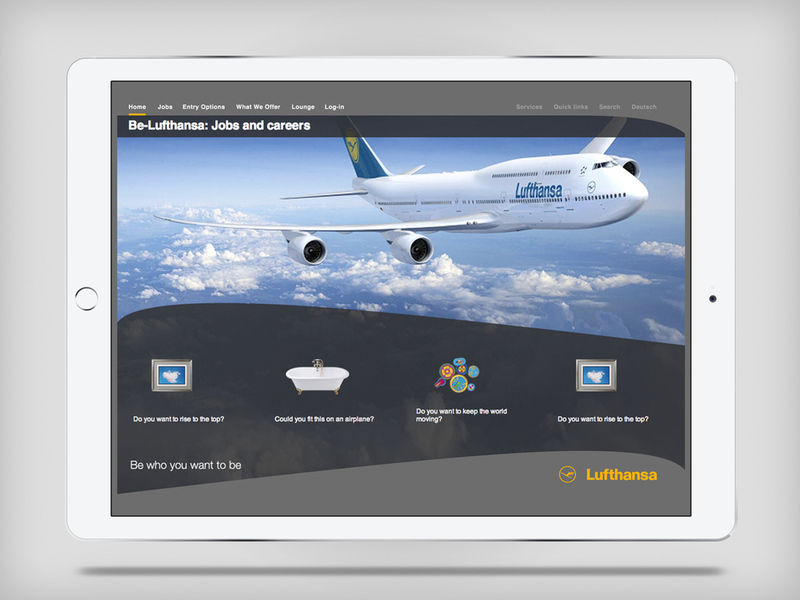 Rebranded Lufthansa’s Story To Attract The Best Talent. Helped Lufthansa attract a diversity of empathetic self-starters – by telling a better story of what working at Lufthansa is like. Role: Agency Partner / Creative Director (Digital). Agencies: Kin Studios & Closer London. Channels / Disciplines: Branding. Digital. Content. UX/UI. 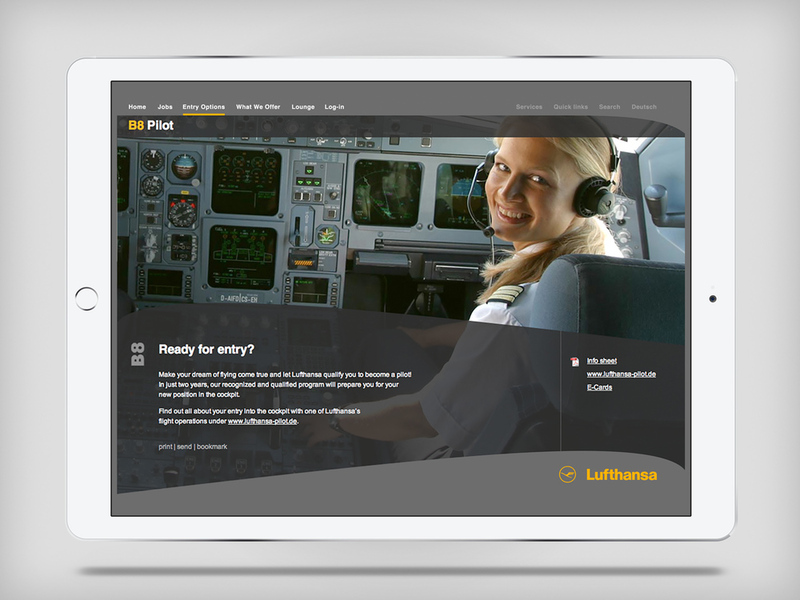 Lufthansa was facing a problem of not attracting a wide enough range of prospective employees, yet were determined to change this. I partnered with branding agency Closer London and lead the entire story transformation and digital branding side of Be-Lufthansa. I decided to shift the content disposition from one of requirement fulfilment (with lots of white papers and wordy task descriptions), and turned it into a story-focused "online window" for applicants to see what working at Lufthansa is like. And therefore excite and inspire a much wider range of applicants. 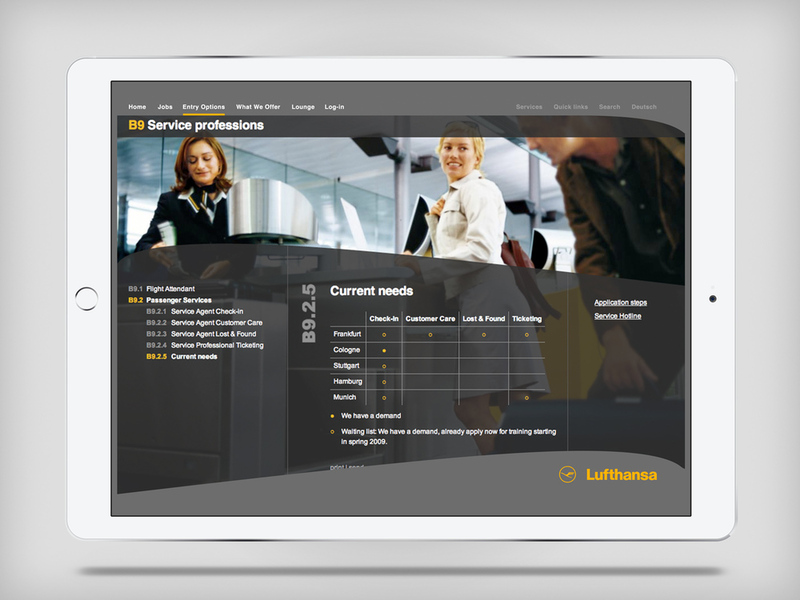 It helped that Lufthansa had been recognized as a great company to work for in Germany for two years in a row . For the visual direction, I was inspired by the Lufthansa headquarters. 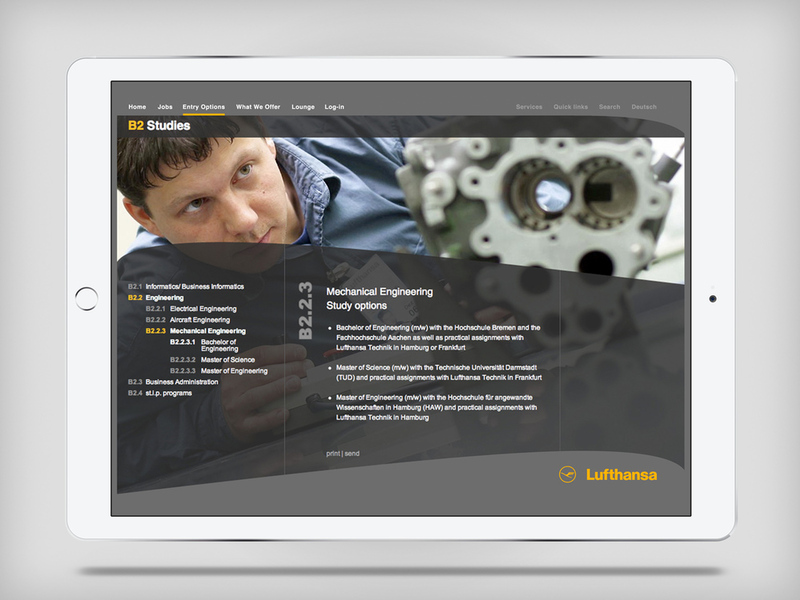 And developed a look and feel based on aviation engineering. The client was super excited about this and at one point there was discussions as to whether the main interface curve shape was correct from an aerodynamic perspective! I created very specific guidelines for photographers to capture authenticity, and enable audiences to see the real story of what it's like to work at Lufthansa. Lufthansa was always a pleasure to work with, yet working with such a large client poses certain challenges to move projects forward. And I find that I’m able to help such groups reach consensus with excitement.